On Sunday, November 19th, we were joined by families to remember loved ones they lost in traffic crashes and fellow Tucsonans to stand up in solidarity to demand an end to the epidemic of traffic violence on our streets. 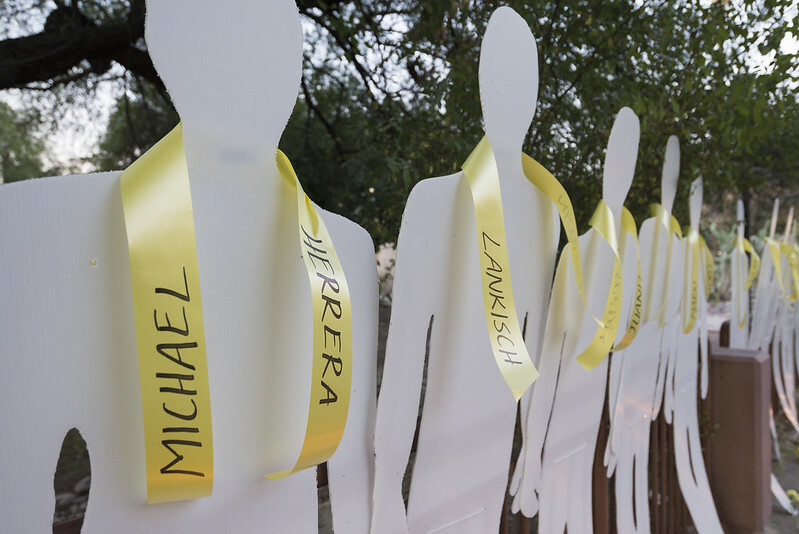 The gathering took place at Tucson City Hall as part of World Day of Remembrance for Road Traffic Victims, an international event that was adopted in 2005 by the UN General Assembly to acknowledge victims of road traffic crashes and their families. It is commemorated on the third Sunday of November to pay homage to the 1.25 million people killed and injured on the world’s roads, and more than 40,000 killed in the U.S. each year. Speakers included LSA staff, crash survivors, as well as City Council members Steve Kozachik and Paul Durham, drawing attention to the fact that it wasn’t merely accidents but preventable traffic crashes that killed 57 people on Tucson’s streets this year and it is entirely possible to design our streets to be safer to prevent future deaths. The event concluded with a candlelight vigil to remember and honor the lives of the real people – somebody’s mother or other, somebody’s child, somebody’s brother or sister, somebody’s best friend– who are behind the statistics and bring attention to unjust grief and suffering of families and entire communities behind every crash. ← Cyclovia en la Doce Was a Hit!